Rabies symptoms are something we get a lot of questions about at Get Bats Out. As a nationwide bat removal company, rabies are often top of mind for our clients struggling with a bat infestation. Finding a bat in your home in the middle of the night is never fun. It’s even less fun if you find one in a room where someone was sleeping and you don’t catch the bat. Unless the bat is caught and sent for testing that unfortunate person sleeping in the room will have to undergo a course of rabies shots. Painful and expensive. Even more concerning for us, is hearing stories of finding a bat in a home or business during the daytime. Rabies symptoms are not always as evident as seeing a bat in the middle of the day though. Do you know why that is? Here’s a little known fact for you; there is only one type of rabies but it has two completely different ways it can appear and show rabies symptoms. Furious Rabies – The rabies symptoms associated with this form are categorized by exactly what the name implies. They may be very agitated or extremely aggressive towards objects, other animals, and sometimes even their own limbs. The aggression toward their own limbs often results in self mutilation. They also drool excessively in most cases, which explains the “foaming at the mouth” associated with rabies. Dumb Rabies – Animals with dumb rabies may often seem tame and don’t appear to be bothered by people. They can appear lethargic and often seem paralyzed. Because of the paralysis, the animal may drool (“foaming at the mouth”) and display odd facial expressions. Animals displaying rabies symptoms of dumb rabies are often the more dangerous ones. Everyone knows to stay away from an aggressive animal. 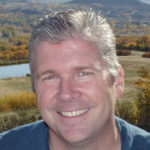 People often want to pick up and take care of an animal that just appears sick or injured. So how does this relate to bats and bat removal? 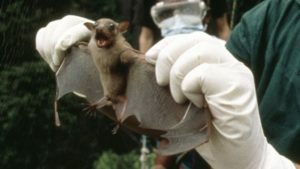 Bats typically only display one type of rabies symptoms. Dumb rabies. Finding a bat out in the middle of the day (nocturnal animals) doesn’t ALWAYS indicate a rabid animal. You definitely want to watch out for it though. 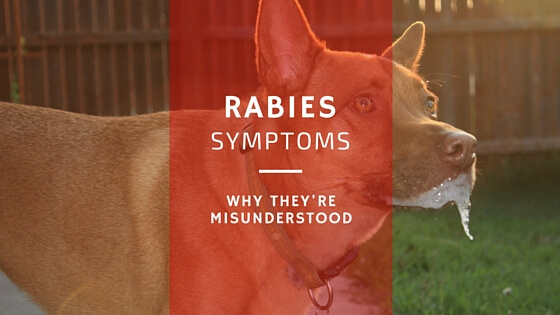 The additional rabies symptoms described above are much better indicators to watch out for. Unfortunately, the fact that bats often have dumb rabies symptoms is why children will often pick up a bat they find laying on the ground. It is essentially comatose and becomes an interesting thing for them to study. Teach your kids to never touch animals they don’t know and find laying on the ground. Rabies symptoms, once presented, means it is pretty much too late for you. Since rabies in humans has been tracked by the CDC, there have only been three documented cases of survival. Of those, two of the patients were left with severe brain damage. Rabies is considered 100% fatal. Only between three and five percent of bats carry rabies. Are you willing to risk your family’s life on that small percentage of rabid bats? Don’t live with a bat infestation and risk rabies symptoms developing in you. Call us today for a free phone consultation. Click Here to Speak With a Bat Expert! There's a bat that comes into our courtyard at night lately. It attaches itself in a coveted area. Do you think it's sick? Would someone come out at nighttime to catch it? Bats have temporary night roosts that they use to rest while out hunting at night. Leave it alone and it won't bother anyone. Bats are a vital part of our ecosystem. It's a good thing that it's hanging around eating all those pesky mosquitoes. It's not sick, just tired and needing a break.